At Chase Construction North West, Inc. we have the expertise to tackle unique challenges. 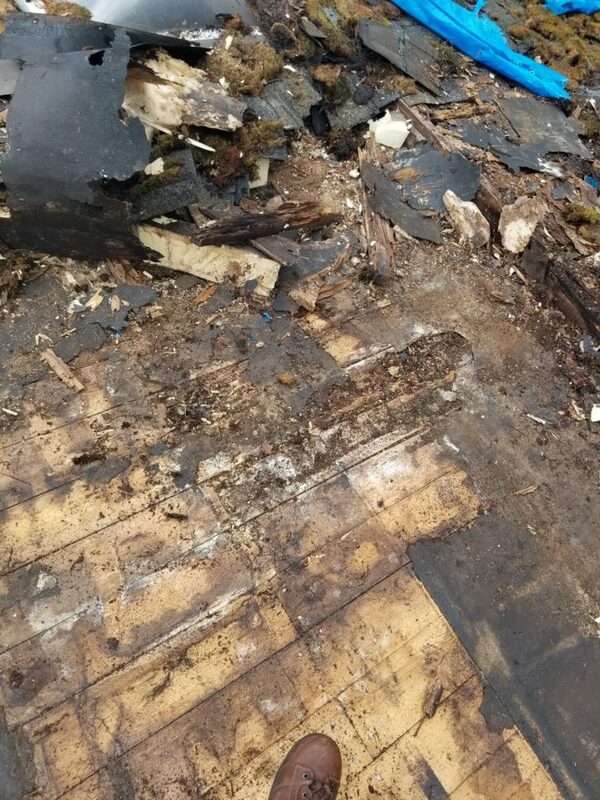 One of our clients came to us with a roof in such disrepair that we couldn’t even walk across it safely. It was full of rot! 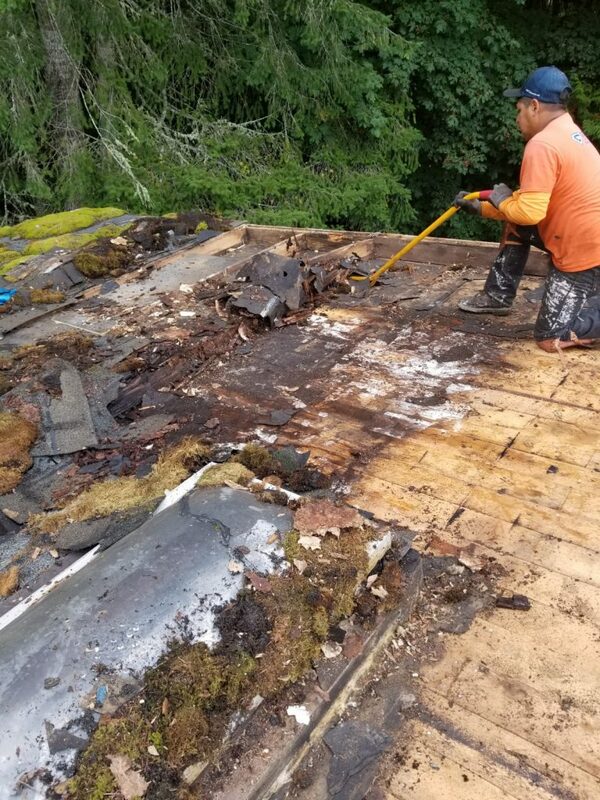 We’ve rebuilt many roofs in pretty bad shape before, but this one might take the cake. 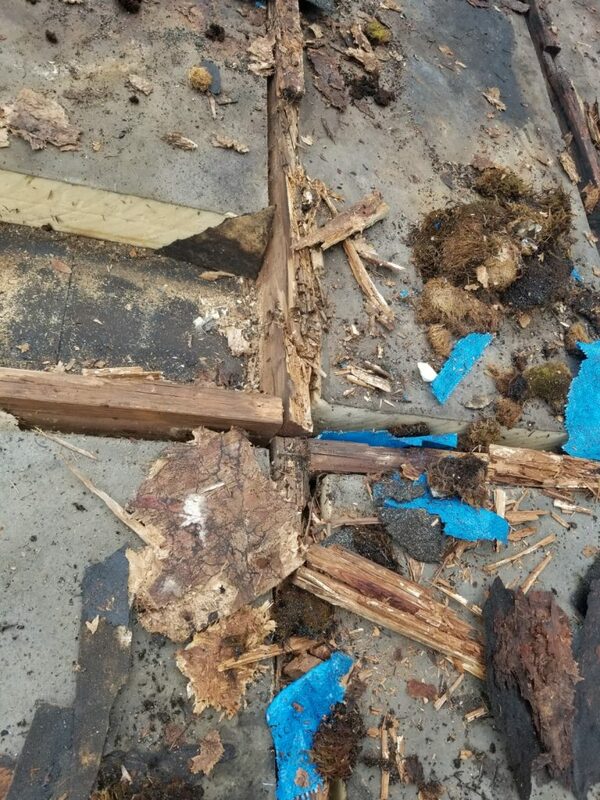 Our team demolished the rotted portions of the roof structure and then reframed as needed. 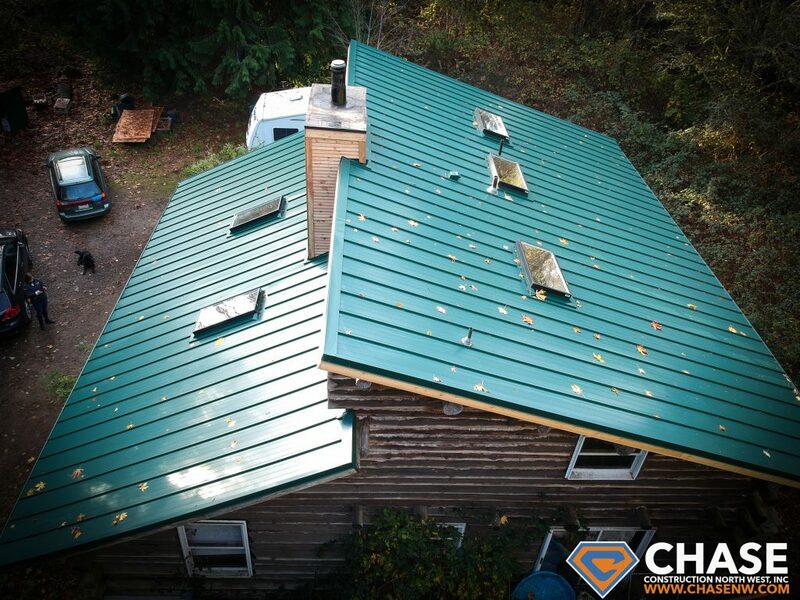 Our client in Key Peninsula chose the stunning Moss Green color for his new NRM-6000 roofing system. It looks beautiful in the dense forest backdrop! Combined with the 40 year limited Cool Kynar® finish warranty, this roof is designed to last a long time. 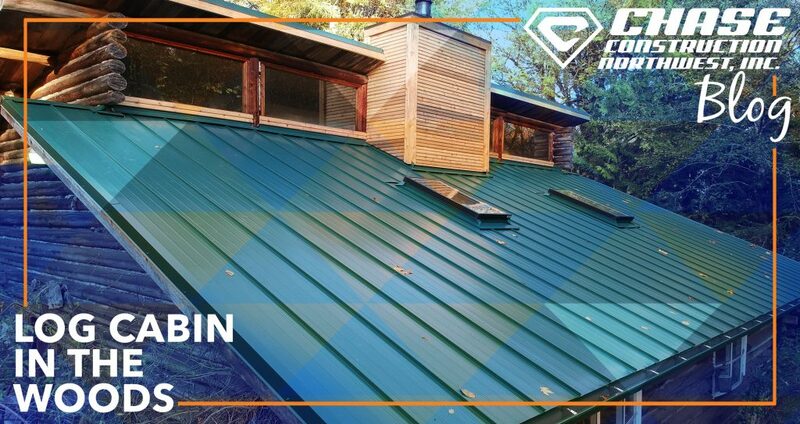 There is no known upper limit to the longevity of modern metal roofs, making them more economical over the long term than composition shingles and come with significantly less hassle than other types of roofs. New gutters and skylights are a frequent feature we include for new roofs. 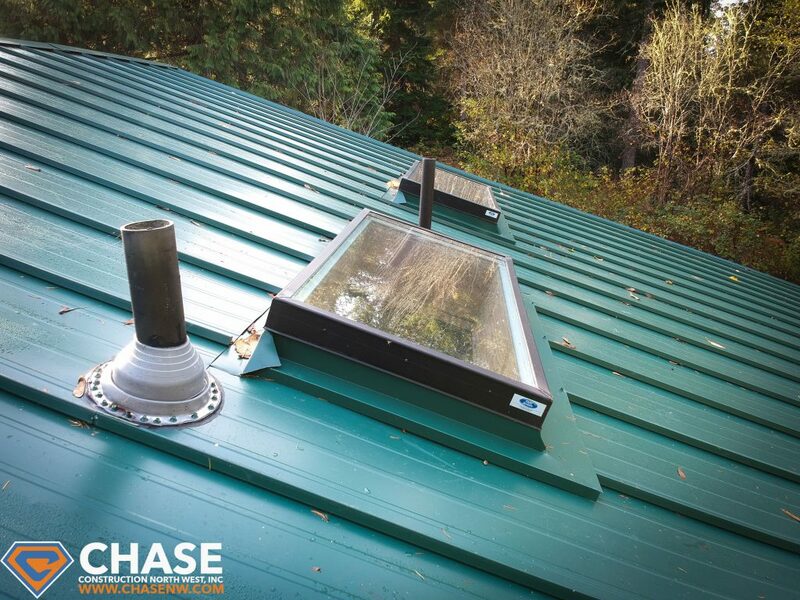 The green 5k style gutters blend in perfectly with the standing seam panels. Tam skylights are a mainstay of our roofing installations because of their superior craftsmanship and beauty. If you’re looking for a new metal panel roof, imagine what we can do for you! 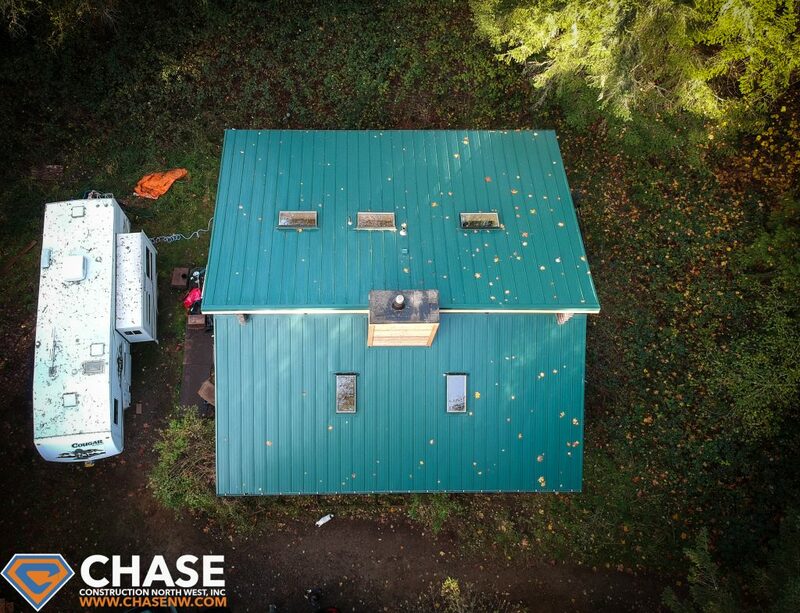 Call CHASE CONSTRUCTION NORTH WEST, INC. today at 253-445-8950 for a free estimate or fill out our online quick estimate form. 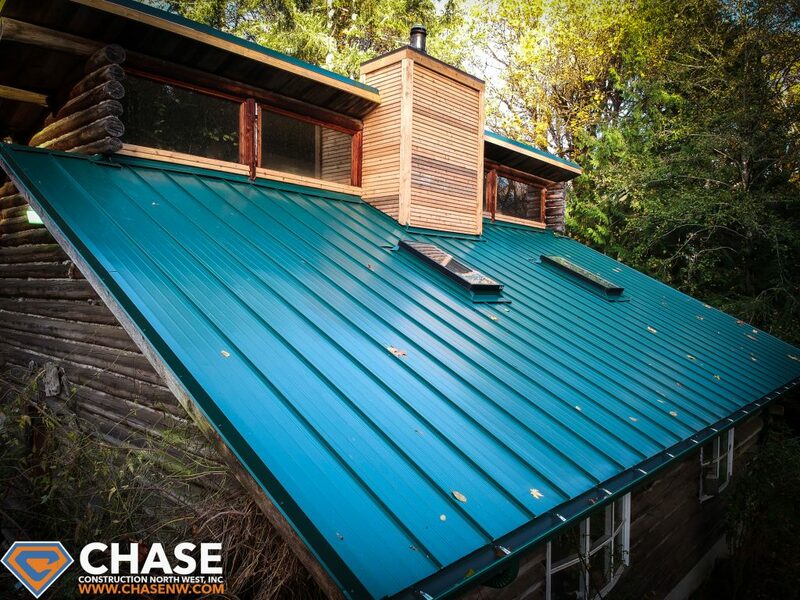 We want to install a metal roof that you’ll always be proud of!